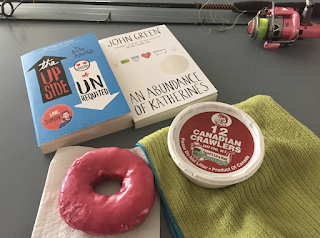 Yes, it has been a month since I last blogged. Good thing I have #mtbosblog18 to remind me to keep blogging. 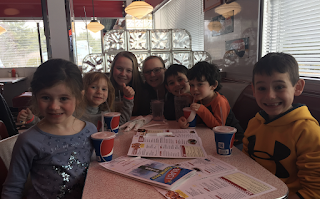 First, Spring Break fun stuff, then a recap on my Geometry Conics lessons. I am on Spring Break and just wrapped up 3 days in Maine with my sisters, sister-in-law and 7 nieces and nephews. It was fun, a good, crazy, large family kind of fun. We had lunch together today at a diner and then they went home leaving me with 24 hours to myself - all alone! I LOVE being alone. I find it so peaceful. 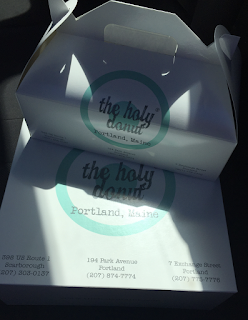 Then, I went into Portland, Maine to the best donut shop in the world - the Holy Donut. I got donuts for my girls weekend and donuts for my family and donuts for me and donuts for a co-worker who is gluten free. A man walked past me carrying the donuts and he said, "You are going to make some people happy." :). On the way home, I stocked at the market and bought worms and did my first fishing of the season. I didn't have any bites, but it was just beautiful being out there. 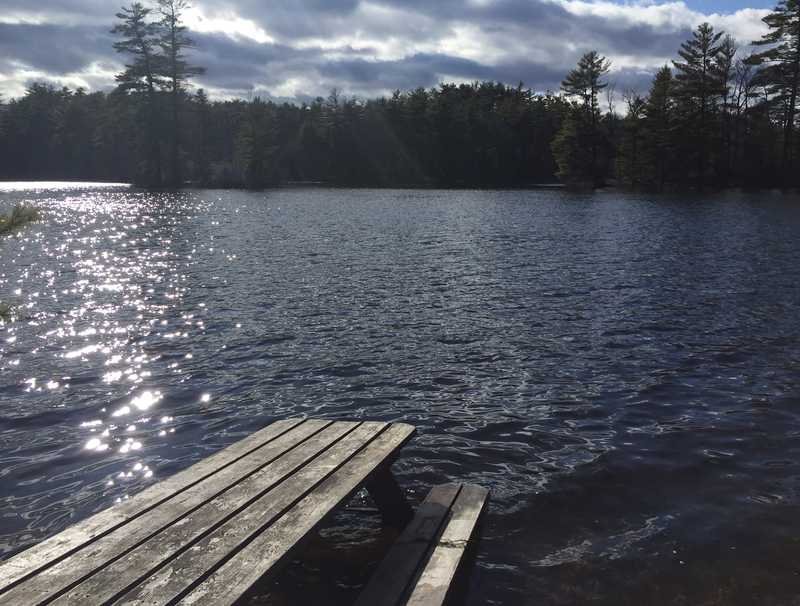 Tomorrow, I head to North Conway, NH for a girls weekend with my sisters, cousins, and aunts. Yep, more girl time. Now, some math. I am teaching Accelerated Geometry for the first time. I have always taught Accelerated Algebra 2 which follows Geo. In Acc Alg 2, I used to teach conics again. It was good to spiral. Most kids would say it had been their toughest lesson in Geometry and they didn't do so well with it. By Algebra 2, they had more practice with completing the square needed for conics. For Alg 2, I had a physical conic card sort to do each day, I folded wax paper to make parabolas, and I used computer paper box tops with laminated graphs, 2 push pins, and floss to make ellipses. I dove right in, knowing they had it before and we did it quickly. However, this year, in Alg 2, we decided not to teach conics but to do limits instead. Okay, now I can use my Alg2 old stuff with geo and not repeat stuff. I think it went well. There weren't too may complaints. Students liked doing "algebra stuff" again. I dare say some even liked it. And, finally they did well on their conics quiz. They struggled on their circles quiz - the first quiz of the unit and they will be tested on both after vacation. Let's hope they find success with both. Our geometry book does not include conics, so I supplemented for homework from a precalc book. I did a lot of snapshots. It was more direct teaching than working at the whiteboards, but we did a little at the boards. I had planned to on the parabola day but we ran out of time between doing the conic card sort each day, then the discovery activity, then practicing graphing them from standard and not-standard form, it took a while.